January has come to a close and it is amazing everything that we have done so far this year. We have a lot of construction going on as we improve our shelter facility – a new 10 stall intake barn and a maintenance barn, but let’s talk about the animals! During January we had 42 animals come to us – 41 horses and 1 dog. It’s hard to think what would have happened to them if we were not here to be a safe shelter for them. We had 15 owner surrenders during January. 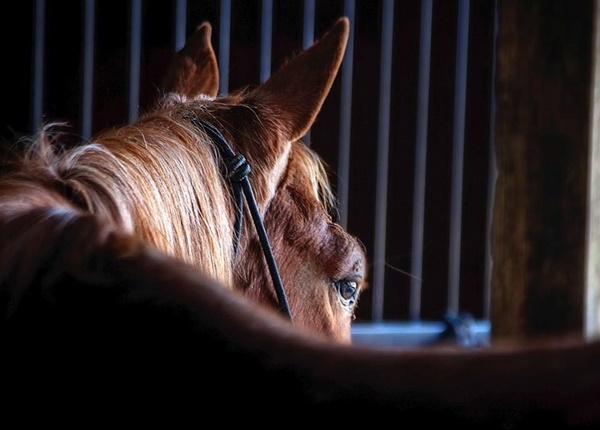 Without our open door shelter policy, these owners would have had no safe option for their horses. We purchased 3 horses that were in jeopardy of entering the slaughter pipeline and shipping to slaughter if we did not save them. We attended an auction where horses are sold for slaughter and were able to save 23 horses from that horrible fate. We also saved one dog that was being auctioned off. We’d never seen a dog auctioned off before at a livestock auction. We got him neutered and other medical treatments done and were able to find a wonderful adoptive home for him. At the auction we saw a large number of horses that had serious medical conditions and were suffering. We rescued as many of them as we could and followed the veterinarian’s recommendations for them. We just couldn’t allow them to continue to languish in the slaughter pipeline. We had to say goodbye to what felt like far to many of them as the veterinarian said humane euthanasia was only humane for some of them. 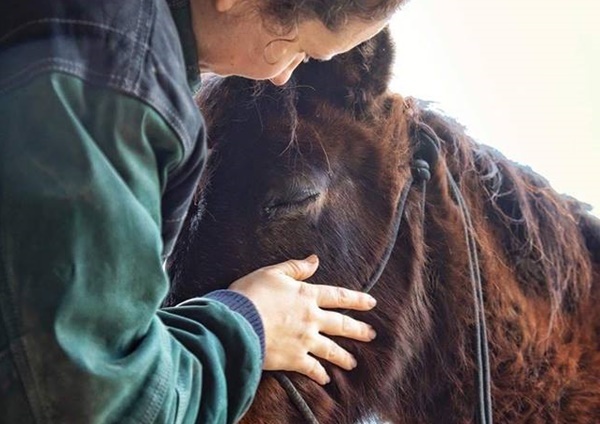 It’s so heart wrenching that people dump horses into the slaughter pipeline instead of doing what is right for them and giving them a peaceful ending at home. Two of the horses that we rescued from auction had microchips. Of the thousands of horses we have rescued over the years only a small number have come to us with microchips so this was very rare to have 2 microchipped horses in one auction rescue. We were hoping that we could reunite them with their previous owners, but that has become a wild goose chase. Many times when animal owners have their animals microchipped they fail register the microchip to their name. 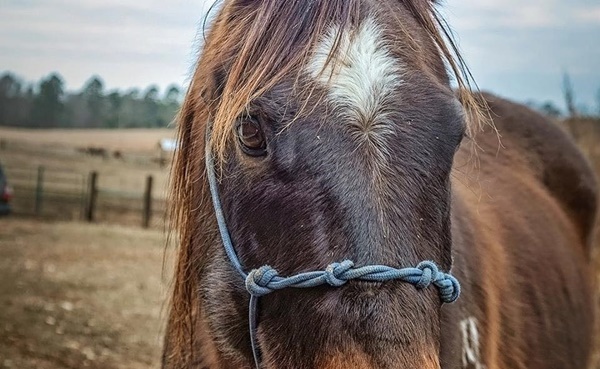 The 1st horse, a Paso Fino who came up from Florida to be sold at the auction, is microchipped but the owner never registered the microchip in their name. The 2nd microchipped horse, pictured below, is a beautiful, well-bred, 8 year old, Quarter Horse, gelding who has two separate freeze brands. We thought for sure his microchip would be registered to his owner since he was also branded. When we called the microchip tracking company we found the microchip was not registered, but they were able to track it back to a veterinarian office. When we called the veterinarian office they said they don’t microchip horses and don’t keep microchip number records. We have searched the brand registry as well and have not been able to find his brand. If only the horses’ owners would have registered their microchips in their names we would have been able to contact them immediately and let them know that their horses were safe. This is why it is vitally important when you have your animal microchipped, make sure you register the microchip in your name. We are very excited to see what lies ahead for us in February. 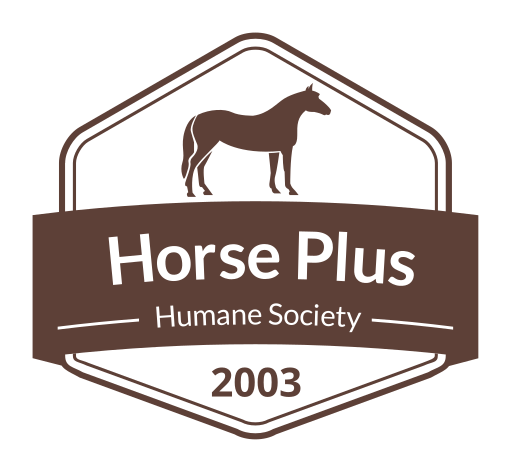 We know we are going to help a lot of horses that are in need. We have had some adoptions already this year, but adoptions are always slow until spring. Spring is right around the corner and we can’t wait for long sunny days and green grass! Thank you all for your support that helped make January a huge success!